Let me introduce you to my guest blogger, Maricella “Marty” Garcia. 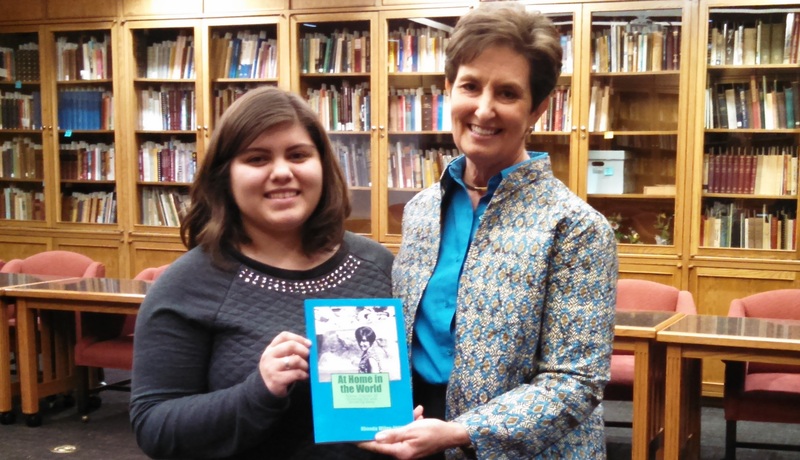 She attended a Travel Journal Writing I conducted on campus last fall and won a copy of my memoir in a drawing of participants. I discovered her travel writing skills by reading the student newspaper, The Reveille, at Schreiner University, here in Kerrville, Texas. 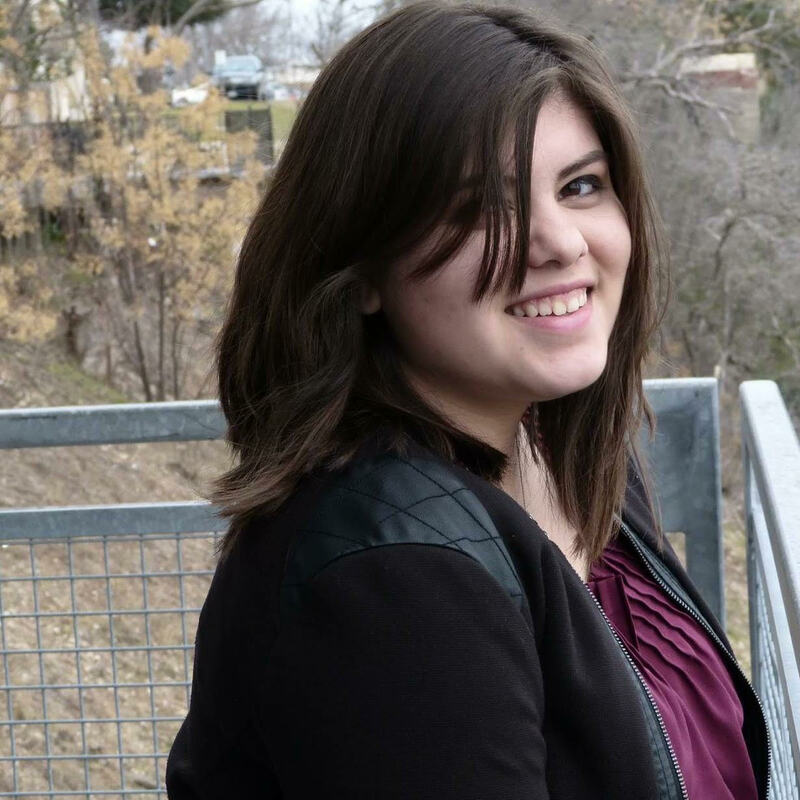 She will be the paper’s editor-in-chief this fall 2016. This summer Marty worked as an intern with Western Art Academy, supervising high school students in a four-week painting and sculpting college credit course on Schreiner‘s campus. As a part of the Academy, she visited the L.D. Brinkman Collection of western fine art, located on the South side of Kerrville, TX. Driving up a shady incline, the pavers create visual suspense until the Brinkman Mansion in Kerrville, Texas, appears over the hill. The white facade contrasts with the Texas blue skies and the fountain trickles happiness over its edges, which reflects the hot summer sunlight–almost like a wink at me. The Brinkman Mansion, a private home and collection, open to the public only by appointment, is art all on its own. Walking inside the grand foyer, beautiful wooden and marble floors, which were the industries of choice and fortune for Mr. Brinkman, were artfully laid by craftsmen under his direction. Western art filled almost every square inch of the hallways, living areas, sitting rooms, and offices. We were instructed not to touch the walls, for they were considered art as well. Even the board room hosted over a dozen paintings and several bronze sculptures of longhorns and cowboys. Our guide told us about the progression of technique and style of one of the artists G. Harvey, referencing six priceless paintings on the long wall in front of the students. His movement from landscapes to town scenes capture the change of the country as industrial development created pockets of civilization throughout the West. I most admired his use of light and dark in the paintings. I was taken aback, seeing more art in this house than in a museum. It was all so casually placed, with little to no attention to sunlight hitting the paintings directly. This made a few us wince. Works by George Phippin, Harold Von Schmidt, Oreland Joe, and other artists from the 20th and 21st centuries show the appreciation Brinkman had for western Art. On the second floor, we found oil paint studies of about 20 different horse breeds on the landing. Each bedroom had at least 3-6 paintings of assorted artists and content. See the Academy students busily sketched compositions and took notes in their books. When we descended to the basement, we saw lots of real Native American artifacts, some preserved behind glass, others laid on tables as if they had just been used. I remember best the beaded vests with tribal paint and tattered fringe. No notes were posted to say how old these artifacts were. Featured in the expansive collection of Mr. Brinkman, you will find everything in terms of content from the landscapes of Texas to the way of life of the Comanche, the Apache, and other Texas Native American tribes. Read a bit of local history, Brinkman’s involvement with founding the Museum of Western Art, in Kerrville, Texas. What this tour meant to me? As a design student, to see the collection was eye-opening for me, especially since I haven’t really dug into western art. I have visited some key galleries in Fredericksburg, and met some great artists in person, but I recognized the true diversity of the genre in this visit. Western art was not just horses and cowboys on the ridge of a hill; it was a view into a Native American teepee, ranch hands heading into town to auction livestock, and the pie cooling on the window sill. Every artist had a unique style in their paintings and bronzes, and this was more obvious in the Brinkman house setting, where multiples from each artist were placed close together. I was grateful for the opportunity to witness this collection first-hand, and to help the Academy students be aware of the importance of promoting art like this now and in the future. Why no pictures of the collection? I could not take images of the estate, because cameras were prohibited. You however can have an aerial look at the mansion. There is little about the Mansion or its contents online, and its future is wavering more each day. The chance of anyone visiting the Brinkman Mansion is little to null. I was one of the lucky ones. The passing of Mr. Lloyd Brinkman last year led to fewer public tours of the home. In addition, some of the pieces in the collection are being sold. The actual division of estate among his children from a total of seven wives has been anything but pretty. If you have a chance to visit with an organization who might be invited, as we were, do not take a rain check! GO! There is something for everyone in the home. Where else to see fine western art in the area? A great place to view western art is the Museum of Western Art, located in Kerrville, Texas, and aptly named. Wonderful bronzes of all sizes and content, paintings in many mediums, and even leather saddle art are on display here for the public. Another great collection can be found at the Cowboy Bronze Fine Art Gallery in Fredericksburg, Texas, which features work by Bob Vickers, Paul Kethley, Roger Archibald, and others. It is both art gallery and art store. What does “hometown travel” mean to you? 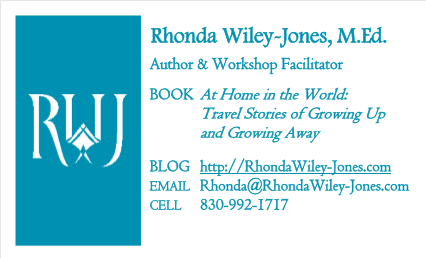 Check out my guest blog and all of Rhonda’s blogs! Thank you so much for the platform! Anyone who is new to Rhonda’s blog, make sure you sign up for her email notifications!